Yes, it's a little premature, but we can't help it: All we want to buy this week is spring dresses. Maybe it's a form of sartorial escapism from the dark depths of winter, or maybe it's because the high street is absolutely nailing it with its spring/summer 2019 collections. From shoes to shirts, the wardrobe gems just keep rolling in. This week, it's the summer dress offerings of Finery, Whistles and Arket that have caught our eye. 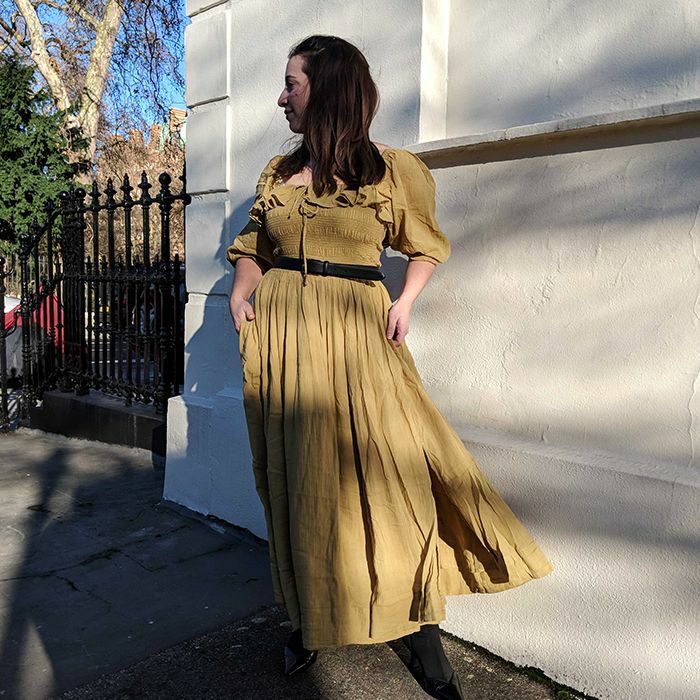 Sophisticated and expensive-looking, it seems as though everyone has well and truly embraced the trend for midi lengths, longer sleeves and unusual prints, and we couldn't be happier. 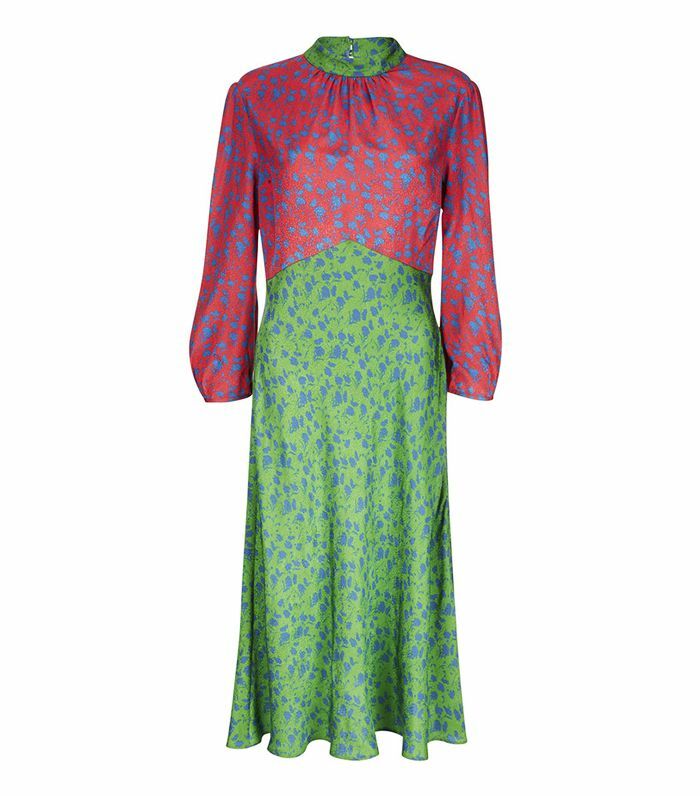 At the top of our list is Finery's green-and-pink midi, which could easily be mistaken for a designer buy, followed closely by Whistles' whimsical tiered polka-dot dress, which is begging to be worn to a winter wedding. The best thing about these dresses is that they can be worn now (let's face it—the cold weather ain't going nowhere) as well as in the summer months. It's easy: Simply layer over a roll-neck knit, throw on a pair of knee-high boots and your favourite coat and you're ready to go. Now that's what we call versatility. Scroll down to see and shop the 15 dresses we'll be buying now and wearing right through till summer. So many influencers have worn this beauty. The cut of the bust is so flattering. Pink and red is our fave new-season colour pairing. Such a bold print and flattering fit. The mash-up of prints on this midi is so cool. Holly Willoughby has worn this. Just saying. The print and fit of this is so '80s. Layered up, a knit dress will keep you warm now. Come spring, this will look super chic by itself. This is one for you print lovers out there. This Arket dress is pure joy. This would look so good layered over a white polo neck knit. Style with a baggy cream cable-knit jumper. Dress meets trench coat. A utilitarian dream. This is at the top of our dress wish list.